Today’s business world is filled with seemingly unending e-mails, phone calls, and meetings. In order to keep your organization’s various departments running smoothly, all team members must stay updated on project developments and day-to-day operations. A new cloud-based unified communications solution can help transform your business activities — and having the right partner will lead your team toward success. Parallel Technologies provides industry-leading cloud-based unified communication solutions, and we’re sharing our advice on how to choose a partner that will ensure long-term prosperity with your new technology. Check out the four unified communications essentials below. The new solution will greatly enhance your overall communications experience, including new features and functionalities that your old PBX lacked. High-quality training and support is crucial to guarantee your teams maximize the solution. Parallel Technologies is there to provide 24x7x365 coverage to keep your system working properly and make sure your teams understand all of the available tools and assets. We are with you from day one, providing support with planning, implementation, and management to provide a seamless transition. When migrating to a new cloud-based system, you want to be certain all the moving parts work properly. Network monitoring and analytics tools can help establish an optimally performing solution for your business. Parallel Technologies cloud unified communication solutions offer network monitoring tools and constant analytics that can enhance management control and monitor for service issues. By partnering with us, you get a bird’s-eye view of your system and the ability to catch and fix issues before they occur. Keeping the big picture in mind is vitally important when implementing a new cloud-based solution. Communications auditing and road mapping is key for boosted performance. Technology: Compile an inventory of your current tools and features, physical equipment, and underlying network. Processes: Outline all of the current communication avenues operating within your business. People: Who could be impacted by the transition? Audit everyone affected including staff, partners, suppliers, and customers. Once you have a clear picture of your technology, processes, and people, analyze what will change with the new transition. 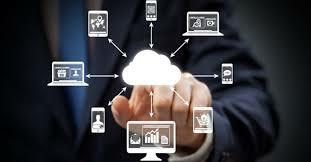 What are the benefits each group will see from leveraging the cloud? The auditing process can seem overwhelming, but Parallel offers a range of resources to support your transition and benefit your team at every stage. We also proactively suggest new services for improving your experiences, always ensuring you’re getting the most out of the cloud. Parallel has implemented cloud unified communications solutions for organizations large and small, within every industry. With our experience, we understand that no IT solution is one-size-fits-all. We tailor each of our solutions to meet your business goals, always keeping client relationships top of mind. When you work with Parallel Technologies, you are partnering with an organization that truly appreciates the nuances of your business and will be by your side as your company evolves.